For the 35th consecutive year, Elite is organizing the most prestigious modelling contest in the world. A dream come true… For the 35th consecutive year, Elite is organizing the most prestigious modelling contest in the world offering thousands of girls and boys (between the age of 16 and 22), the opportunity to achieve their dreams and follow in the footsteps of top models such as Cindy Crawford, Stephanie Seymour, Gisele Bündchen, Vittoria Ceretti, Constance Jablonski, Benjamin Benedek, Matthew Bell and Serge Rigvava. At the end of this India tour, contestants will be selected to participate in the National Casting that will be held on 19th September in Mumbai. The winners are not only selected based on their photogenic qualities, their personality and their natural beauty but also for their potential to correspond to current fashion trends. At the end of the National Casting, the Elite Model Look jury will choose the contestants to participate in the India Final. The ultimate goal is to win a place in the prestigious Elite Model Look World Final and to secure a 2-year contract with the Elite agency worldwide. 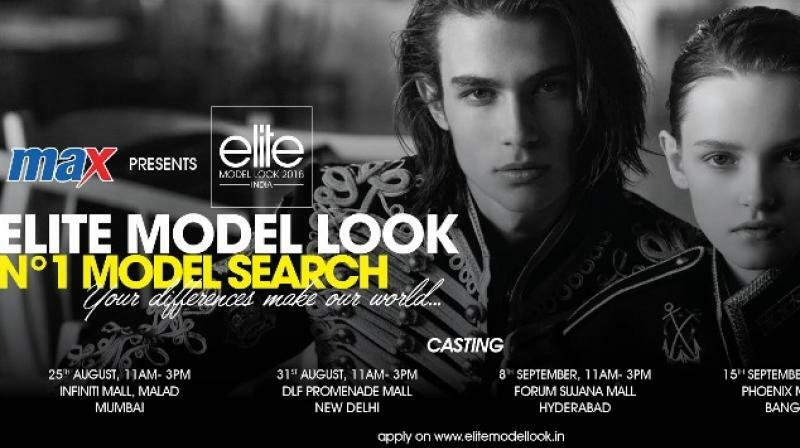 To participate click here - https://www.elitemodellook.com/in/en/participate/index.htm. Today, its women’s division represents the highest-ranking faces in the industry, with names such as Adriana Lima, Liu Wen, Kendall Jenner, Fei Fei Sun, Ming Xi, Malgosia Bela, Sigrid Agren, Catherine Mc Neil, Toni Garrn, Daria Strokous, Isabeli Fontana and Natasha Poly gracing its mainboard. In the men’s division, Elite harbours a reputation of excellence with faces such as Benjamin Eidem, Florian Luger, Diego Fragoso, Richard Biedul, Tony Thornburg and Janis Ancens on the agencies’ books. To learn more, visit www.elitemodelworld.com. To learn more, visit www.elitemodellook.com.